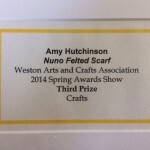 My Nuno felted scarf won third prize at the Weston Arts and Crafts Association (WACA) 2014 Spring Awards Show. The “crafts” category included scarves, clothing, accessories both knitted and sewn, pottery, fused glass, turned wood, and jewelry. 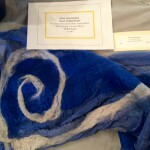 I am very pleased to have won; bonus, scarf sold! 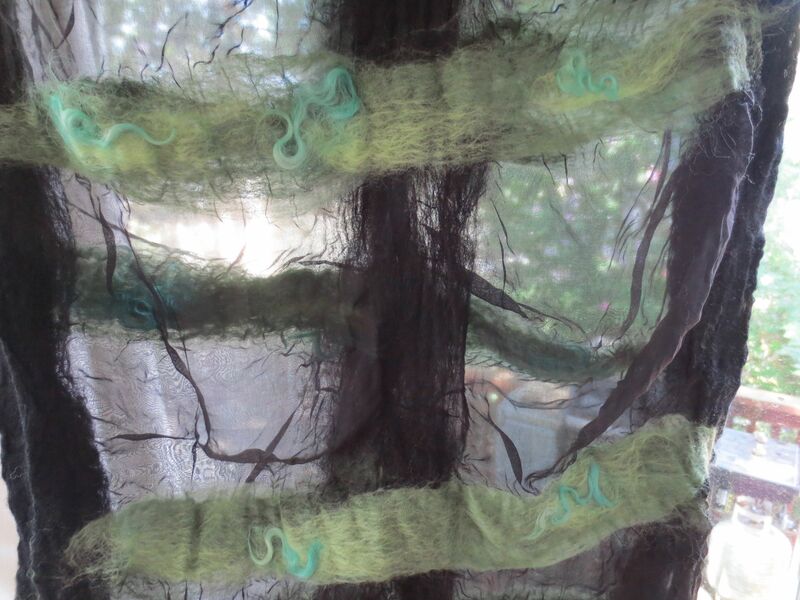 This is a sneak peek at what I have been working on this summer. 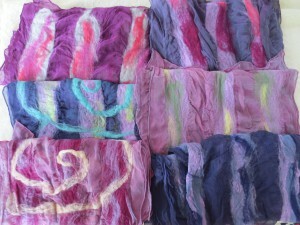 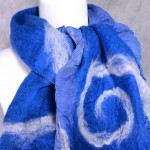 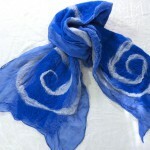 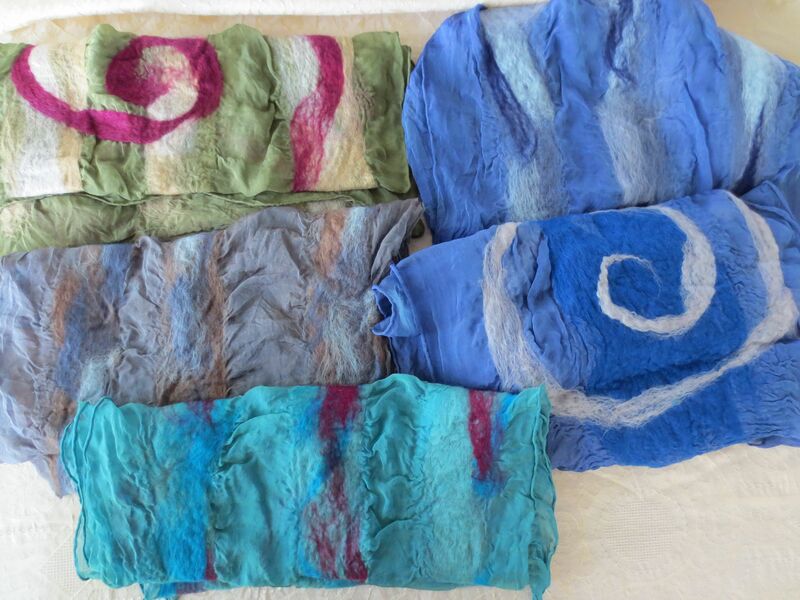 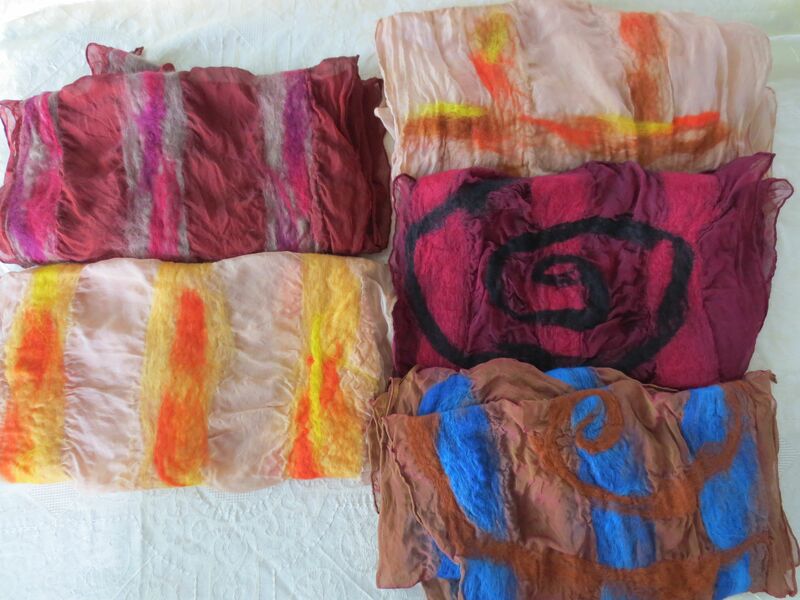 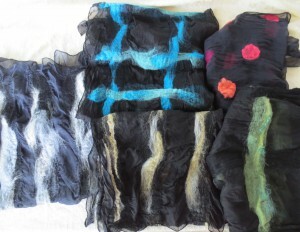 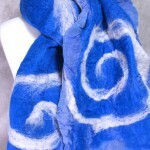 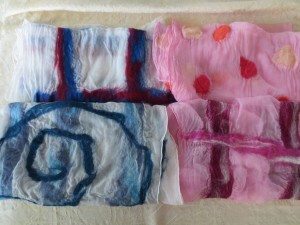 These nuno felted scarves will be for sale in the fall.